I have loved collecting Hello Kitty products ever since I was a child, but the items that I collected were mainly desktop supplies and a few plushes. 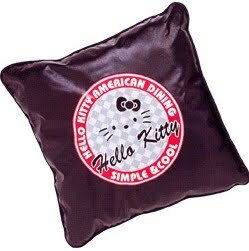 I could never find any good mature and stylish Sanrio home furnishings to tempt me to decorating my home with Hello Kitty products. 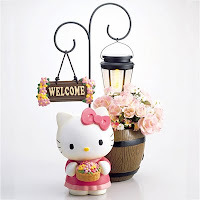 In Sanrio stores, there were never any good Sanrio decor to choose from, so it was to my great surprise that there is an actual good online store with great Hello Kitty decor products! 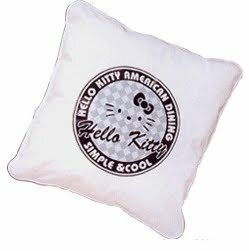 I know, I must be living under a rock, because I did not realize the potential with Dream Kitty, a Hello Kitty online store for kitty addicts like me. $24.29 USD - These cushion pillows are definitely stylish and made especially for the adult Kitty fans. They made the perfect choice in using leather. Doesn't it look divine and perfect for your couch just waiting for you to give this nice added touch? $37.49 USD - You know what caught my eye? The silver jumper and the striped shirt! I was like, "I definitely need this!" 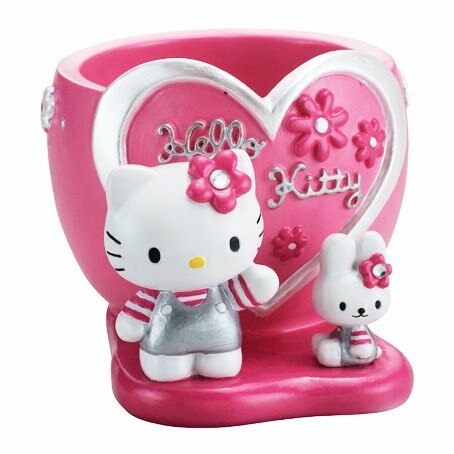 Then, I realized what was missing from this piece would be an amazing classic Hello Kitty red bow accessory. 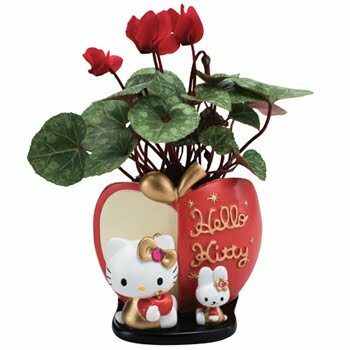 But don't let me stop you from buying this, because this is such a cute plant holder that you can use in your home or a great gift to another Hello Kitty fan who loves classic jumper Hello Kitty. $46.99 USD - Even though this is an apple inspired design, I keep thinking that this would make such a great Valentine's gift. The apple core shape looks more like a heart than anything else. The simplicity of this design makes it a beautiful addition to any home. It won't definitely scream of *kiddie, kiddie* taste. $48.59 USD - Compared to the white Hello Kitty Waffle/Pancake Maker that Sanrio is selling, this is a much better looking cooking tool that I would prefer to buy. Just look at it! I love the colors and the design of it all. 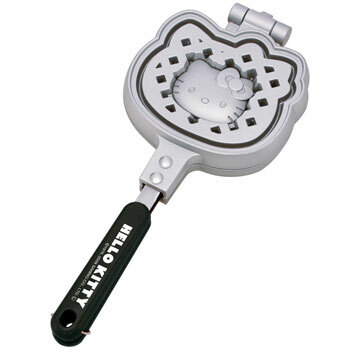 I am in love with the Hello Kitty face smack in the middle of the waffle maker. 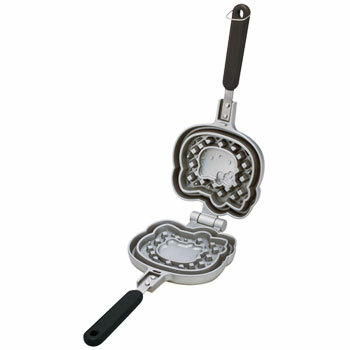 This tool cooks only with gas ranges. So take note before purchasing. $79.99 USD - No wonder they call this a fashion piece! 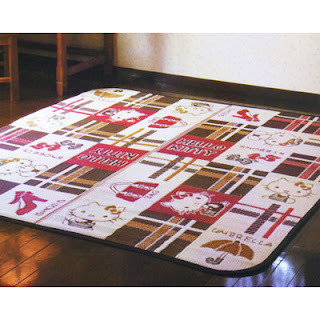 It is perfect for any sort of classy set up you are trying to go for in decorating your home. I love the color scheme of it all. Good choice with a white background, along with a brown patterned plaid design. The only thing is that I would not want to walk over it with any dirty shoes. $159.99 USD - This piece is definitely worth the price. If you can guess why I am drawn to this item, then you have guessed correctly. I love the detail on Hello Kitty's bow accessory. Isn't it so pretty? The pale pink flowers behind makes the overall design look charming and sweet. $259.99 USD - Wow. Just *wow. * That's my only reaction when I first saw this special item. I have to admit that I love the lamp and it's Hello Kitty sign more than the actual Hello Kitty figurine holding an umbrella. 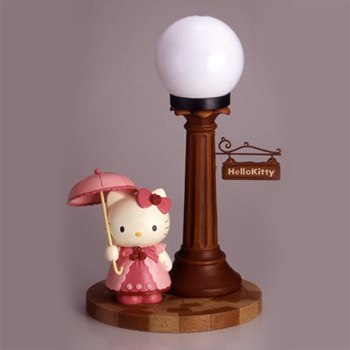 Maybe if the designers had a more classic Hello Kitty looking figurine, then I would have made sure to find ways to get my hands on this fancy light stand. I can't believe how classy this piece looks. I've been feeling very generous lately and the first person to leave a comment will win this beautiful Hello Kitty mini clock that I had put on e-bay lately! Unfortunately, it didn't sell. And, yes - it's free. After leaving a comment, send me a quick e-mail to give me your shipping info with the subject: Giveaway. Only catch is that I'll only ship within USA for free. For those who live outside the states, just pay for cheapest mailing and it's yours! Just don't blame me for how long it takes to get to you. Please note: If I don't receive an e-mail with your shipping address, then I will give it to another lucky addict. 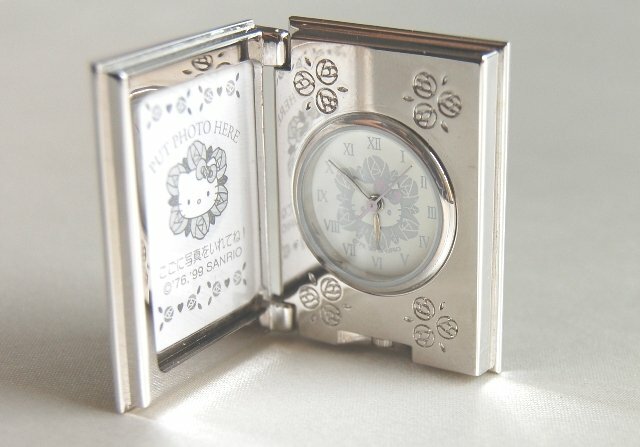 So much adorableness in this post, love that clock!